There may be cheaper brands around, but this German-Anglo company has long had a reputation for unparalleled quality and reliability. Founded by mechanical engineer, Cecil Duckworth, in 1962, Worcester began as a modest outfit, selling oil-fired central heating. However, when the company introduced the combi boiler to the UK market in 1971, it started its rise to prominence, putting together year after year of searing deals and stunning sales. In the 80s, it fought against the elements, surviving both the burning down of its Diglis factory and a battle with the water authorities to keep the lucrative combi boiler market on the tracks. But even these events couldn’t prevent Worcester’s success, and when Worcester became part of the giant Bosch Group, in 1992, its rise to the top was complete. Through its Greenstar range, the company has continued to expand and explore new options. Unsurprisingly, green technology has become a main focus in recent years, and compelling products like the Worcester Greenskies solar heating system are tapping into the world of renewables. Above all, though, Worcester Bosch is about reliability, with almost all boiler engineers testifying to the durability and sheer effectiveness of these products. The company’s aftersales support is renowned too, and the warranties can stretch to a sizeable eight years. Worcester Bosch may be proud of its 52-year history, but German boiler company Vaillant can date its origins back to 1874, and its beloved bunny logo is recognised across the globe. In many respects, Vaillant and the boiler industry have grown up together, and it was largely this company that made heating a practical solution. With its wall-hung design that saved huge amounts of space, the 1905 ‘Geyser’ allowed almost every room to be heated. Two decades later, the company would pioneer central heating, allowing houseowners to dispense with their fireplaces, and to draw the heat from a simple radiator instead. In the 60s, the company was again revolutionary, bringing in a ‘Combi’ boiler that could handle both heating and the supply of hot water from a single unit. To this day, Vaillant continues to push the frontiers of boiler technology, with its oil-fired condensing models and the highly efficient ecoTEC range amongst the company’s recent successes. Like Worcester Bosch, Vaillant boilers are famed for their reliability, and many of the best models are a mouth-watering mixture of supreme robustness and relatively lightweight construction. The aftersales department is fantastic. The boilers may perhaps be the most expensive here, but no other company has such high reliability. 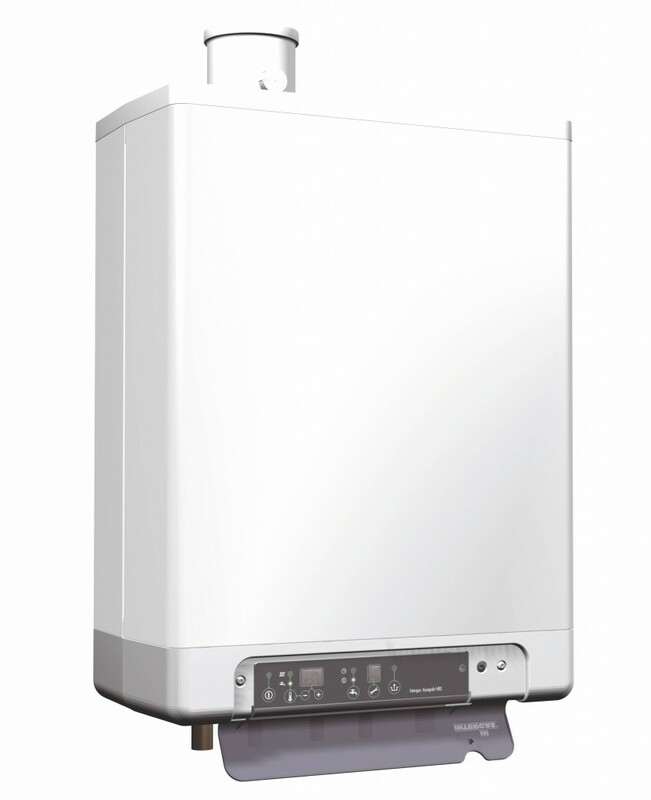 Vaillant’s Glowworm boilers are a decent choice for those who want a quality product, but who want to save a little money on the standard Vaillants. Vaillant and Worcester Bosch may have the best reputations for quality and reliability, but if you want a solution that’s still highly effective, but that perhaps costs that bit less, the Baxi range are an excellent option. The company is named after its founder, Richard Baxendale. Its history stretches back to 1866, although the first official Baxi product wouldn’t be released for another 59 years. It wasn’t until the 1960s that the company started to achieve significant success, with its Bermuda model sweeping through UK homes. Today, the likes of the EcoBlue, Duo-Tec, Avanta Plus, and Megaflo boilers are extremely popular. The Baxi Pottertons are particularly good value for money. Baxi models are generally brilliantly priced, both in terms of the boilers and the spare parts. The models aren’t perhaps as lightweight and easy to install as, for example, the Vaillants. However, the company still has a good reliability record, backed up by some of the longest warranties (ten years) in the industry. As a cost-effective alternative to the German companies, Baxis are an excellent choice. Another British company with more than 100 years under its belt, Ideal lacks the fantastic word-of-mouth of Vaillant and Worcester Bosch, but still achieves good sales through its attractive easy-install models. The 2009 Logic range has been one of the company’s biggest successes, and has garnered a number of awards and recommendations. Aftersales support is decent, and the seven year warranties are ample. Vaillant and Worcester Bosch are safer choices, but the Logic does appear to be building a decent reputation for itself. Not as well-known as Vaillant and Worcester Bosch, this is nevertheless another remarkable German company. Its products are extremely well built, and have high reliability ratings backed up by strong warranties (seven years and up). Viessmann boilers are typically the most expensive of those featured here, but the company remains something of a hidden gem in the UK market. If you are having one installed though, make sure the fitter has plenty of personal experience of Viessmann models. When buying a boiler, it’s better to spend a little more and get a high-quality product. The Ferrolis don’t have the highest reliability ratings, although they are very cheap. In the long-term, this could well be a false economy. However, if you need a bargain basement model that can tide you over for a few years, the Ferrolis are priced to shift.